Or brushed it off as a waste of time. Or maybe even use it regularly. Wait-time is giving students, particularly a large group of them, time to think before calling on someone to respond aloud. 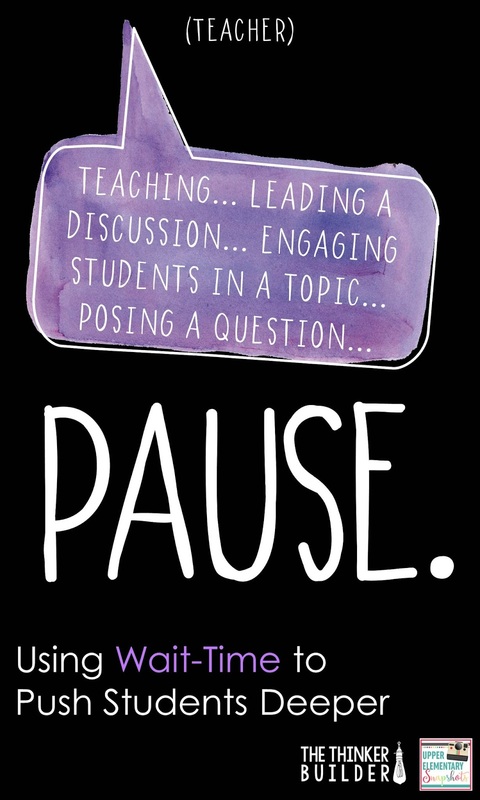 In my blog post on Ways to Get Kids Deeper Into Text, I call it "Pause with Intention." And now on the Upper Elementary Snapshots blog, I zoom in on this idea of wait-time and show you the power it can have on how your students think. I pair some simple techniques with that nice long paaaaaaauuuuuuse and look at the different effects it has on your class. Come read about the "Power of the Pause" right... HERE.